Winter Has Come to Northwest Illinois! Fall Instrumental Music Concert at Highland Community College – Friday November 15 at 7:30 pm in the Ferguson Fine Arts Theatre at Highland Community College, 2998 W. Pearl City Road, Freeport. Congratulations to Area Football Teams in the State Quarter Final Games! This entry was posted in City of Freeport, Events, News, People, weekend and tagged High school football, Illinois, snow, weekend, winter on November 15, 2013 by Good Day Illinois. 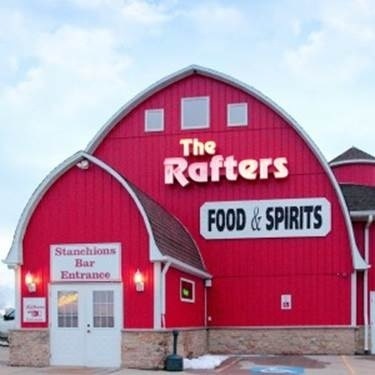 This entry was posted in Events, Farming, weekend and tagged barns, Illinois, weekend on October 2, 2013 by Good Day Illinois. Let’s Have a Good Weekend – Looks Like Football Weather! Football Forecast for Friday, September 13 – Dress for cool weather. Will be in low 60’s at game time and by the end the game upper 40’s to low 50’s. No rain predicted. And a Reminder to Enjoy Area Farmers’ Markets Since the Season Will be Ending Soon! This entry was posted in Events, Sports, weekend and tagged Farmer's market, Freeport pretzel football, High school football, weekend on September 13, 2013 by Good Day Illinois. 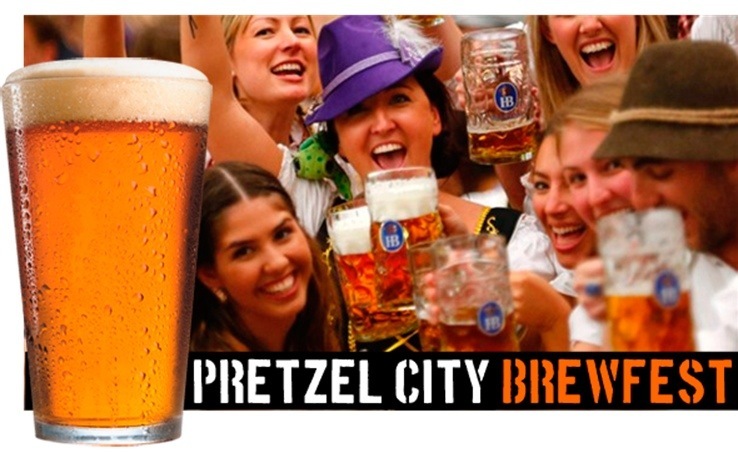 Don’t Miss Pretzel City Brewfest Saturday September 14 – Now This Sounds Like Fun! This entry was posted in Events and tagged beer, craft beer, festival, freeport, Pretzel city, weekend on September 12, 2013 by Good Day Illinois. It’s Friday September 6, and it Looks Like a Beautiful Weekend! If you like football, lots of area high school teams are playing tonight. 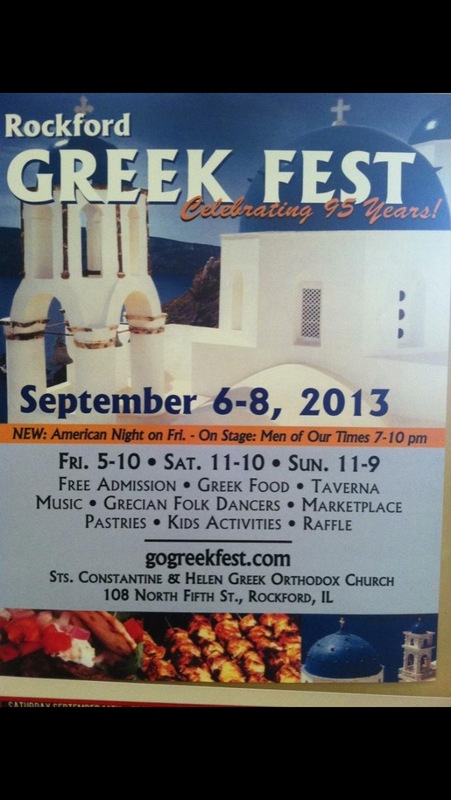 If you like Greek Food and music, you should go to Greek Fest at Sts Constantine and Helen Greek Orthodox Church at 108 N. Fifth Street in Rockford. It is 5 to 10 pm today, noon to 10 pm Saturday, and noon to 8 pm Sunday. This entry was posted in Events, People, weekend and tagged Aquin, beans, fall festival, festivals, Football, freeport, Greek food, Lena, weekend on September 6, 2013 by Good Day Illinois. This entry was posted in Events and tagged fall, fall festival, Lens lions, weekend on September 4, 2013 by Good Day Illinois. Spencer Tracy Film Festival Starts Tomorrow – Another Terrific Event! This entry was posted in Arts, Events and tagged Film festival, freeport, Spencer Tracy, weekend on August 22, 2013 by Good Day Illinois.